Strange, savage and yet sleekly elegant, the dreamlike film noir thriller "Only God Forgives" is the best film I've seen so far this year. If David Lynch directed a Jim Thompson novel in Thailand, it might look a lot like this one: moody, surreal, ominously dark and with odd intervals of untranslated karaoke. Director Nicolas Winding Refn, whose last movie was 2011's brutal and brilliant "Drive," reteams with star Ryan Gosling and score composer Cliff Martinez on another minimalist character study about another withdrawn, conflicted and betrayed loner. Gosling plays man of extremely few words Julian, an apparently emotionless expatriate American who is now a fight promoter and drug lord in Thailand. His partner in crime is brother Billy (Tom Burke), who informs him one night that it's "time to meet the devil." After a chilling sidewalk exchange in which Billy requests a 14-year-old from a pimp and then offers him 15,000 baht for his daughter, Billy violently rapes and murders a young prostitute. The hand of justice arrives in the form of a stonefaced, resolute and unstoppable former policeman named Chang (Vithaya Pansringarm), who lets the victim's father take street-justice revenge on Billy…and then punishes the father as well. Pansringarm is excellent as the deadpan but deadly Chang, whose detective work is calmly but sadistically effective. Scenes of him serenading police and other patrons with Thai folk songs at a karaoke lounge in between acts of casual mutilation are sincere enough to be disturbing. When Julian's shockingly sociopathic and foul-mouthed mother Crystal arrives on the scene, she mercilessly badgers Julian into taking revenge on Chang for his brother's death. Kristin Scott Thomas is a revelation as the outrageously evil Crystal, who is not above insulting both Julian's figurative and literal manhood in the presence of his date for the evening. When she is told that Billy raped and killed a 16-year-old, Crystal's unconcerned reply is, "I'm sure he had his reasons." 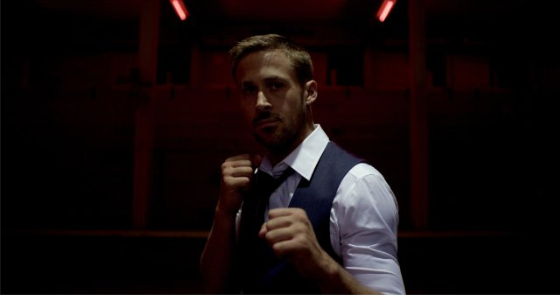 Although "Only God Forgives" is impressively stylish (lots of shadowy crimson rooms and limbo-dark hallways) and occasionally bizarre (Julian has symbolic visions or hallucinations that include amputations), its bare-bones plot is a crime-and-punishment classic. Julian's twisted mother issues, Crystal's demented sense of eye-for-an-eye entitlement and Chang's impassive relentlessness are so broad-strokes distinctive as to make each of their characters seem like a noir archetype. Adding to the impression that this may be the best David Lynch movie Lynch never made is the importance of its score in setting the film's haunted mood of free-floating menace. Refn's visuals and Martinez's music compliment each other as effectively as Angelo Badalamenti's scores elevated both the melancholy and the madness of Lynch's best work. Be advised that the movie's graphic gunplay, stabbings and "enhanced interrogation" scenes give this operatic morality tale a Grand Guignol gruesomeness that fits its sleazy subject matter. When it's time to meet the devil, you should expect no less.